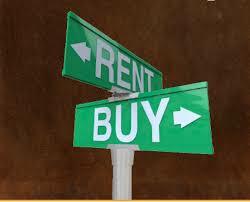 Home / Blog / Is It Better to Rent Than to Buy in Today’s Housing Market? Is it better to rent than to buy in today’s housing market? Some real estate experts say yes! This is due to fast-rising home prices and higher mortgage rates that have shifted the calculation to rent. The monthly costs of buying and owning a home that you occupy are up 14 percent over the past year, more than three times the annual increase in rent rates nationally, according to Realtor.com. Rents are up just 4 percent. The number of local housing markets where it is cheaper to rent than buy is growing by the day. The recent acceleration in home prices has been due to a supply imbalance in the market: too much demand and too little supply. That has shifted the equation back to rent, even though rents have increased a lot in the last few years. According to July home and rent prices, buying a home was cheaper than renting in just 35 percent of the nation's counties. That is down sharply from 44 percent just one year ago. For the first time in several years, in July, the supply of homes for sale was not lower compared with the previous year. It was flat. In addition, while home prices are still rising, they are rising at a slower pace, meaning sellers are starting to see demand fall off a bit, as buyers hit an affordability wall. Renting and reinvesting the savings from renting, on average, will outperform owning and building home equity, in terms of wealth creation. If you’re looking for a home to rent in Phoenix or if you’re looking for property management services in Phoenix to help you find a renter or look after your real estate investment, contact Simply Property Management – Paielli Realty, Inc. today. We provide a wide array of specialized property services to fit your real estate needs, and can help you manage your Phoenix home or help you find a home to meet your needs. We keep it simple, not complex.